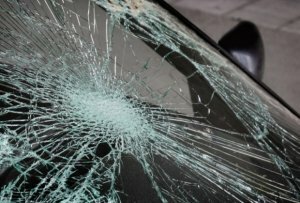 Three Injured After SUV Barrels through Parking Lot in West Palm Beach | Schuler, Halvorson, Weisser, Zoeller & Overbeck P.A. Three people sustained injuries after an SUV lost control and crashed into a parked car in a parking lot along Okeechobee Boulevard in West Palm Beach. Police are investigating a car crash along eastbound Okeechobee Boulevard that sent three people to the hospital with injuries. A Mercedes Benz GL450 SUV was traveling eastbound on Okeechobee Boulevard when it swerved off the highway and drove into a parking lot. The luxury SUV barreled through the parking lot, missing a few vehicles until it crashed into a 2008 Subaru Legacy. The driver of the Subaru was in the process getting into his car when the SUV rammed into it on the passenger’s side, pushing the car towards the driver who was standing on the driver’s side. The driver of the Subaru sustained serious injuries in the crash. He was put in an ambulance for transport to the hospital. A 5-year-old child was in the back seat of the Mercedes Benz when the accident occurred. She suffered minor injuries in the crash. Police say she was well restrained in a child car seat. The driver of the Mercedes Benz SUV was also injured in the crash. Police say she was disoriented when emergency services arrived. Paramedics on the scene said her disoriented state was due to a severe head injury she sustained in the crash. Alcohol has been ruled out as a factor in the crash. Police are hinting at a mechanical fault. Police are conducting an investigation into the cause of the crash.